There are two basic types of operating room table systems: fixed base and mobile table. The fixed base operating room table has a number of different tabletops that can be fitted to the fixed pedestal. 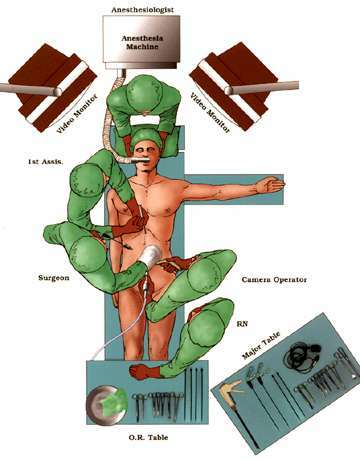 The patient is placed onto a tabletop, which is then placed on a cart to wheel the patient into the operating room where the tabletop is then attached to the pedestal. The mobile operating room tables have a permanently attached tabletop on a movable base that has wheels and brakes. The patients are placed on the operating room table and wheeled into the operating room. The base and wheels are locked during surgical surgery, so that it can’t move. The top of the operating room table should be made out of rigid material, transparent to x-rays and stable enough to carry very heavy people. The mattress is also important: it needs to be removable, washable, and antistatic, made of a pressure-redistributing material, to avoid the development of pressure ulcers and bed sores.